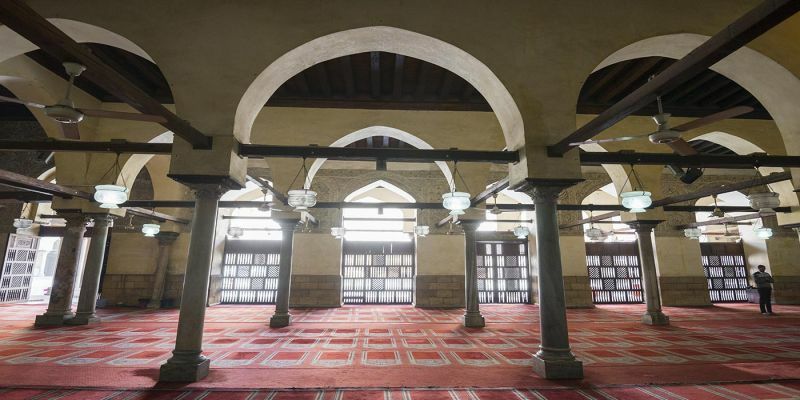 The mosque itself has been renovated and expanded many times over, surviving more than a thousand years of shifting politics and changes in government. 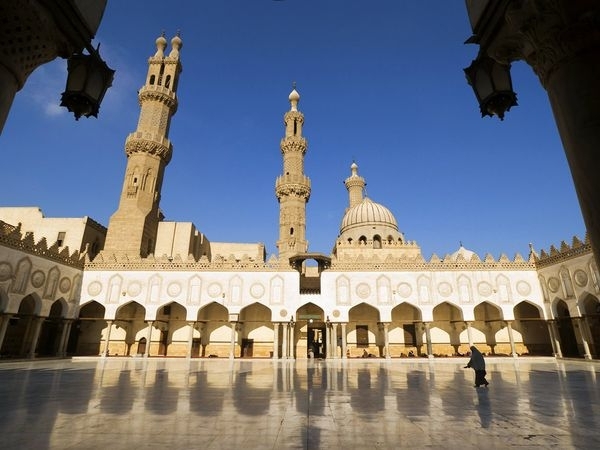 The different architectural styles of its five minarets bear witness to the different dynasties that controlled Al-Azhar. 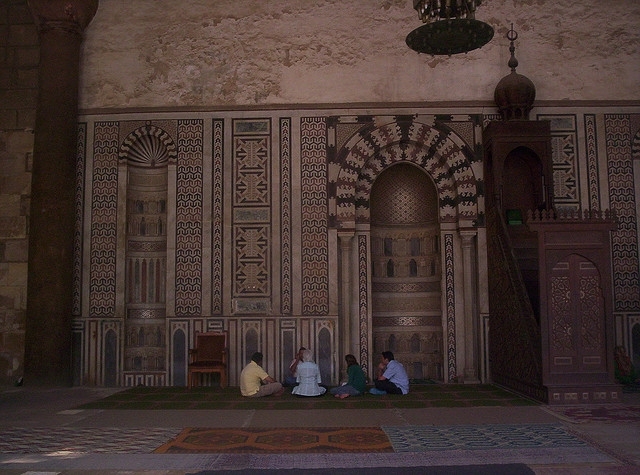 In addition to the beautiful, white marble central court, which dates back to the mosque original construction, the building includes a large covered prayer area, and two madrassas, or religious schools. 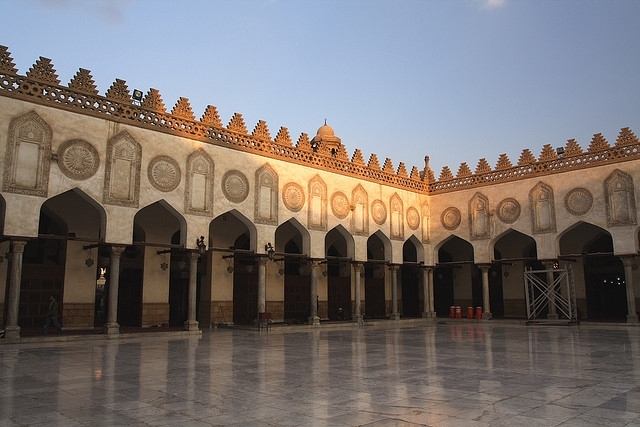 Before Azhar University expanded and moved primarily to a second campus in the north part of the city, students used to meet with instructors in the main courtyard and lessons in Arabic and Koranic interpretation are still taught here today. 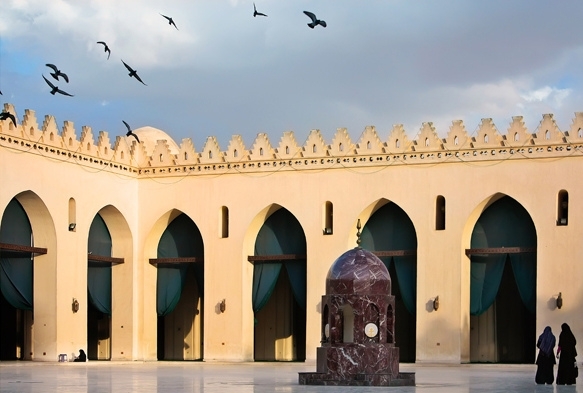 From the courtyard, you can also see its three largest minarets—built in 1340, 1469, and 1510 respectively (from right to left if viewed from the courtyard). 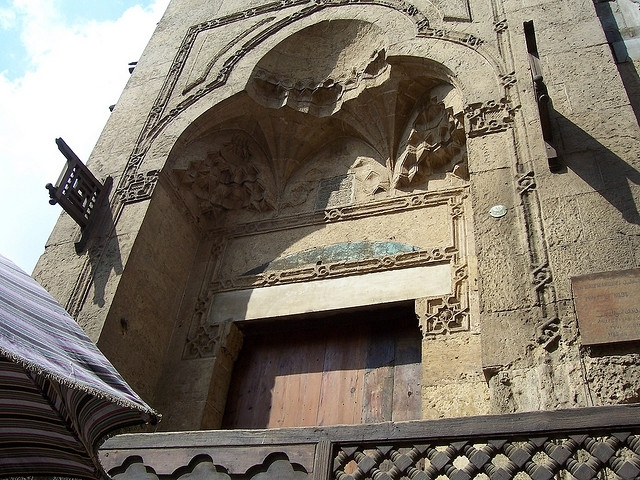 Sultan Al-Ghuri, who also built the Wikala Al-Ghuri and Al-Ghouriyya Complex nearby, is responsible for the 1510 minaret, identifiable by its twin spires. 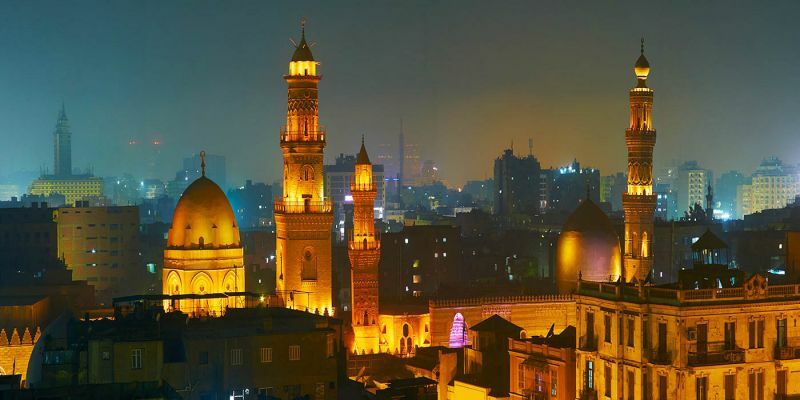 Some of the greatest sights of Islamic Cairo are located in Al-Muizz Al-Deen Street. This street was the main street in the city when it was built back in the 11th century and it is also where mausoleums and palaces were constructed. 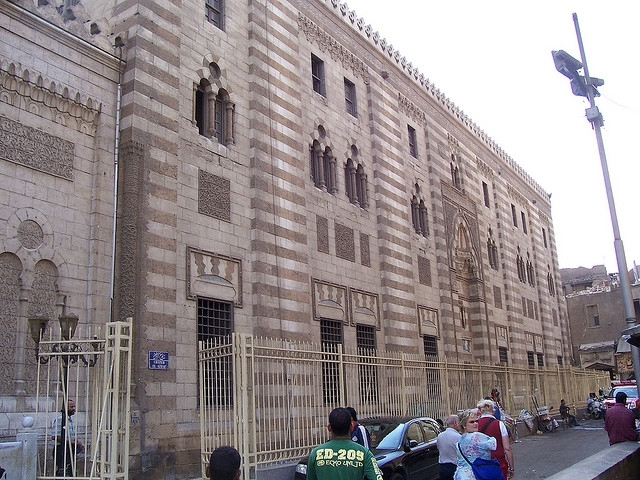 The northern section of the street (between Bab El-Fotouh and Al-Azhar Street) was recently restored and opened for visitors. 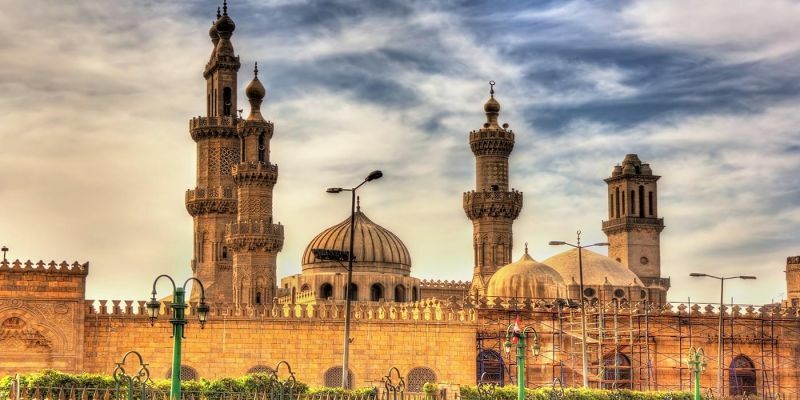 This is one of the most picturesque parts of Cairo and that’s why people enjoy spending their time there. The Qala’un Complex here is one of the impressive sights in the city. 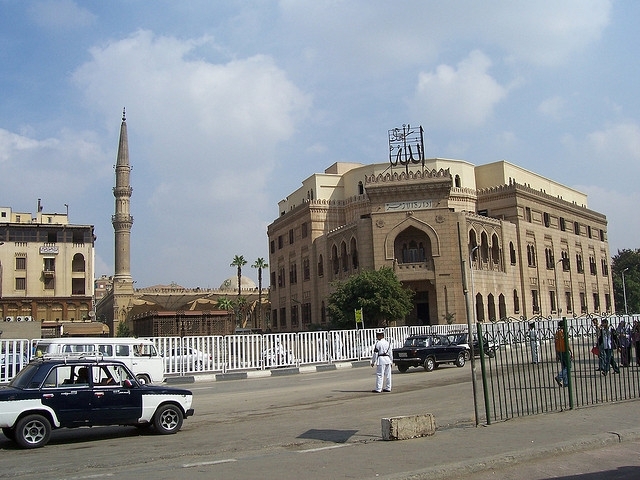 The southern part of Islamic Cairo offers some of Cairo’s largest Islamic monuments. 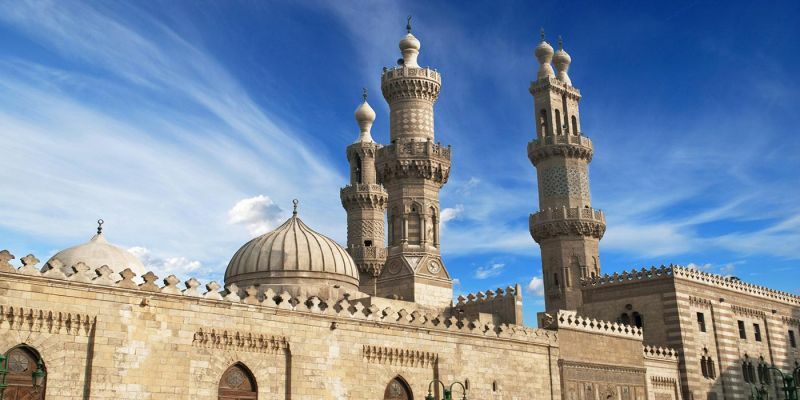 One of the best examples of Islamic construction is Cairo’s Citadel. The construction of Cairo’s Citadel began under the Ayyubid general Salah Ad-Din Al Ayyubi in the 12th century. 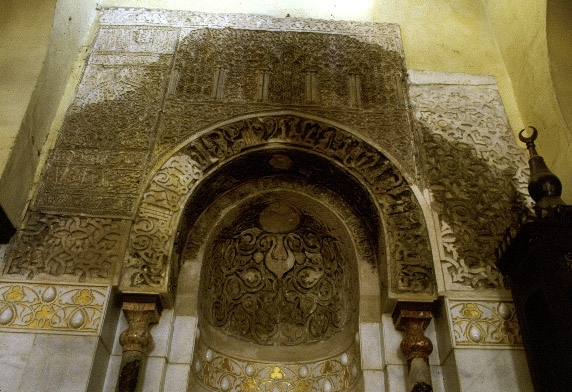 There are three notable mosques inside the walls of the citadel which are: Al-Nasir Muhammed Mosque, Suleyman Pasha Mosque, and Muhammed Ali’s Alabaster Mosque. 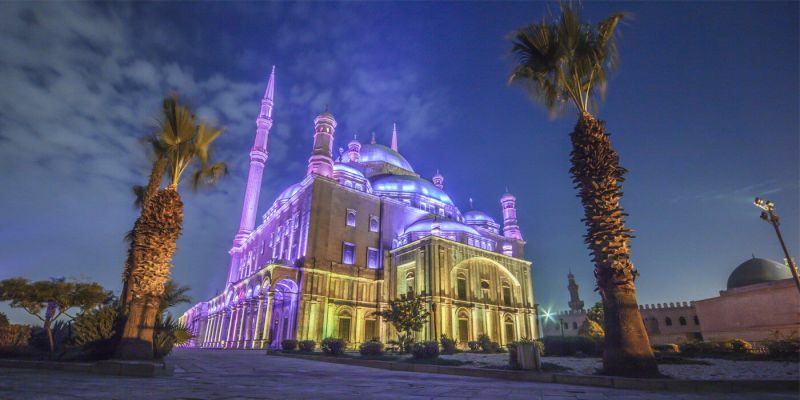 Azhar Park is a new addition to Islamic Cairo. In the 1990s the Egyptian government reclaimed land that had been used as a landfill for centuries to create a park for the city. Today, Azhar Park offers 74-acres of park space to a city that has few green spaces. This beautiful setting offers spectacular views over the city and manicured gardens. You can always enjoy your time there as the park has a café and a restaurant as well.